It’s hard to believe that the Mercedes SLS AMG has been around since 2011. 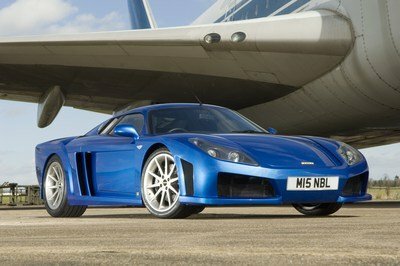 It wasn’t that long ago that we were all waiting in anticipation of the supercar’s debut and now, with the SLS getting its discharge papers, and Mercedes has decided to give the mighty supercar one last hurrah in the form of the SLS AMG GT Final Edition. 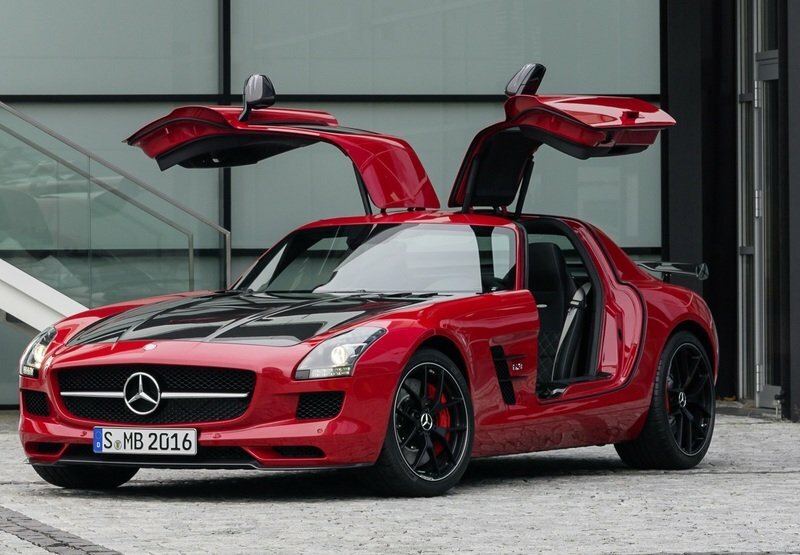 Dressed in the same two-tone red and black finish that has become a staple for the SLS AMG, the Final Edition model also carries a number of styling cues that distinguishes itself from the rest of its brethren. It’s highly appropriate too, considering that this is the final run of SLS AMG models — all 350 of them — so it has to stand out in more ways than one. The SLS AMG GT Final Edition comes with plenty of new and modified components, including a new carbon-fiber hood and front splitter, a redesigned front bumper, and new brakes. An updated rear wing is also part of the program, as are darkened light surrounds, and carbon-fiber mirror housings. 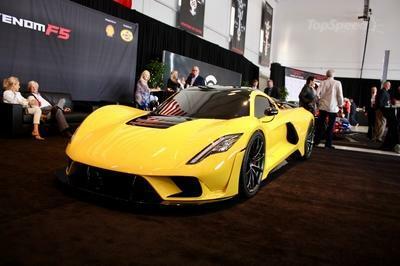 Performance numbers remain the same, which means that the supercar will receive a 6.3-liter, V-8 engine that produces 591 horsepower and 479 pound-feet of torque, allowing it to hit 60 mph in a scant 3.7 seconds to go with a top speed of 198 mph. Like what was said, the Mercedes SLS AMG GT Final Edition will only have 350 units built, so if you’re looking to scoop one up, you need to be sitting at your local Mercedes dealer the morning it opens the order books. We’re sure there will be much more information to roll out when Mercedes unveils the model in LA, so stay tuned for more updates. Mercedes-Benz SLS AMG Black Series is TopGear’s "Lairy Car of the Year"
Mercedes added the SLS AMG to its lineup back in 2011 and for the 2013 model year, the automaker updated it with a more powerful engine and a "GT" badge added to its nomenclature. The model launched in 2011 came with a 6.2 liter, V-8 engine that delivered a total of 563 horsepower and 479 pound-feet of torque. 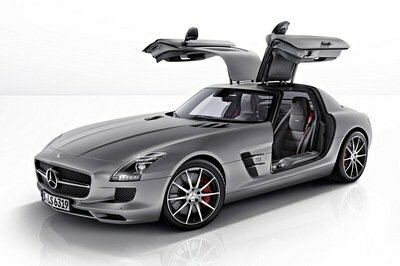 The base SLS AMG could sprint from 0 to 60 mph in just 3.7 seconds, and went up to a top speed of 197 mph. For the 2013 model year, the new GT version kept the same 6.2-liter, V-8 engine, but with the output increased to 591 horsepower and 479 pound-feet of torque. 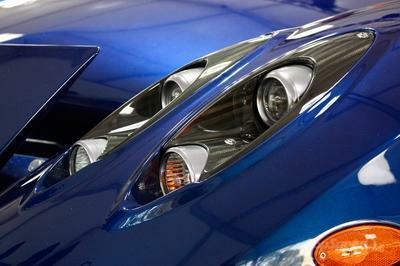 This version could sprint from 0 to 60 mph in 3.7 seconds and up to a top speed of 198 mph. 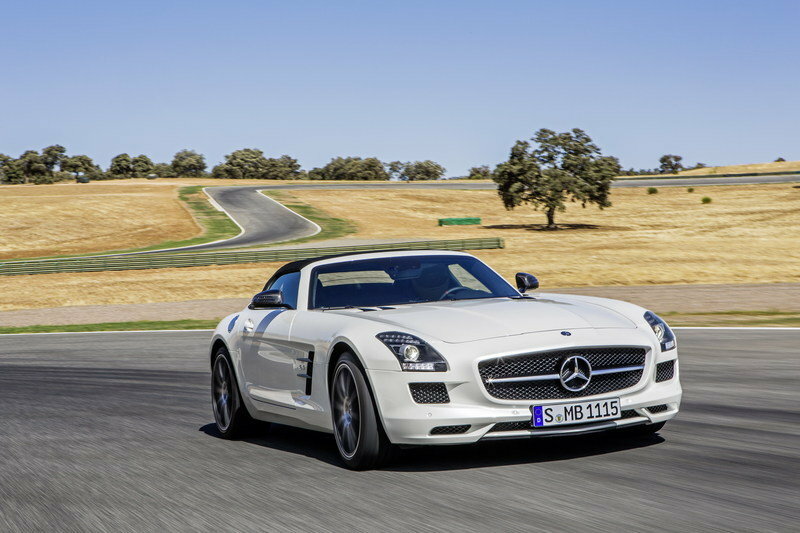 The SLS AMG GT FINAL EDITION brings an impressive era to an end. 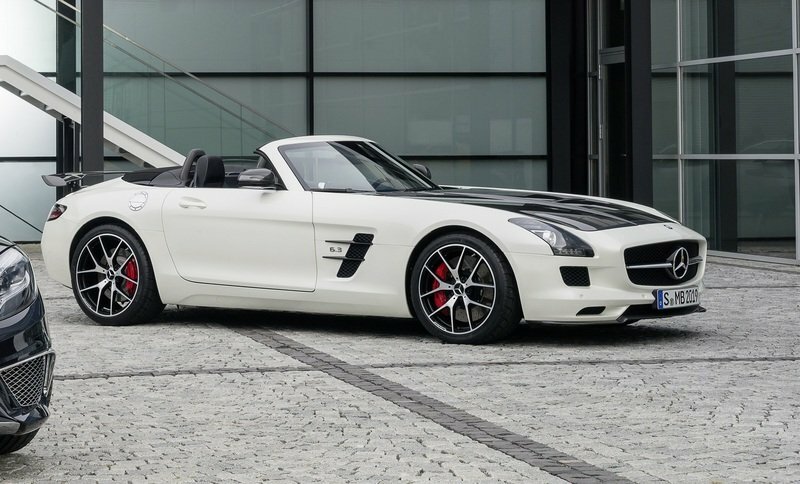 The FINAL EDITION model, built in a limited run of just 350 units, represents the last opportunity for customers to order a SLS AMG – while at the same time reflecting the unrivalled success story and unique scope offered by the first complete vehicle to be built by Mercedes-AMG. 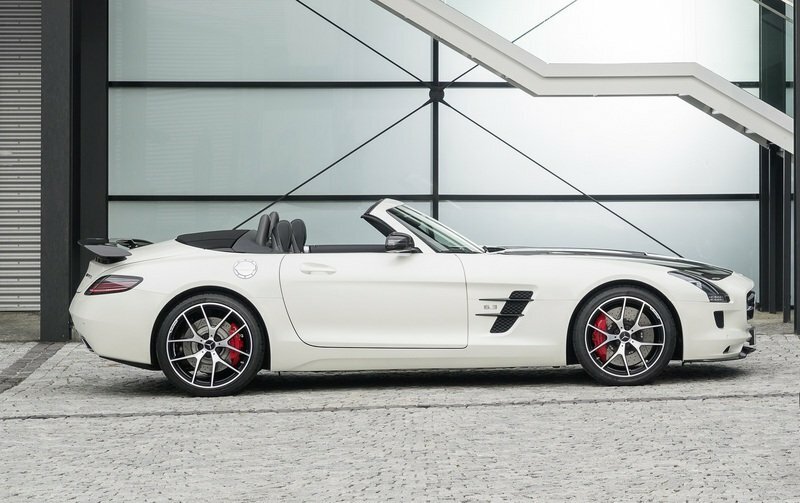 The super sports car, with its 591 hp AMG 6.3-litre V8 front-mid engine, offers an exciting combination of truly exceptional design and equipment features. Ever since it was presented in 2009 the SLS AMG has been an icon of the Mercedes-Benz brand and is highly sought-after around the world. 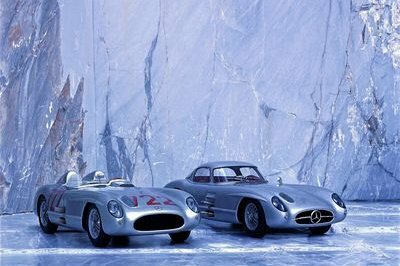 Thanks to the wide variety of models – from a gullwing model to the roadster, GT, the Black Series, an electric drive and its success in motorsport as the GT3 variant – the SLS AMG has become ever more attractive and is now one of the legendary dream cars from the brand with the star.